Looking for some inspiration for new DIY projects? 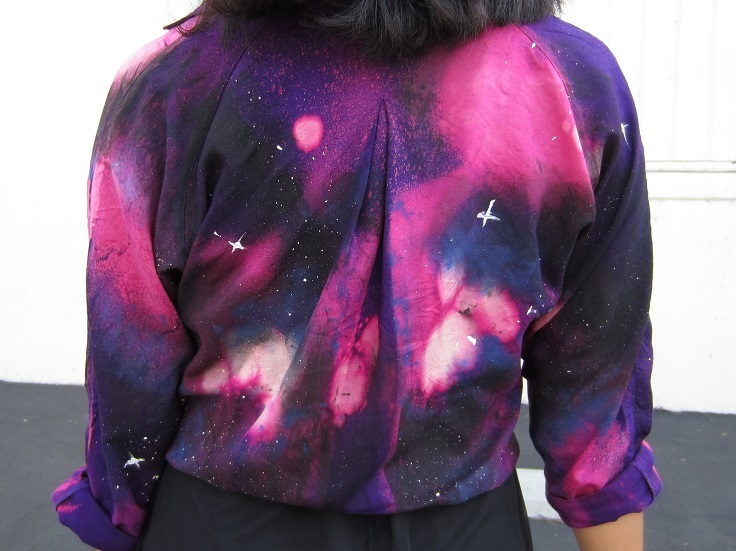 In that case, we like to share with you what took our breath away last: galaxy – inspired projects! 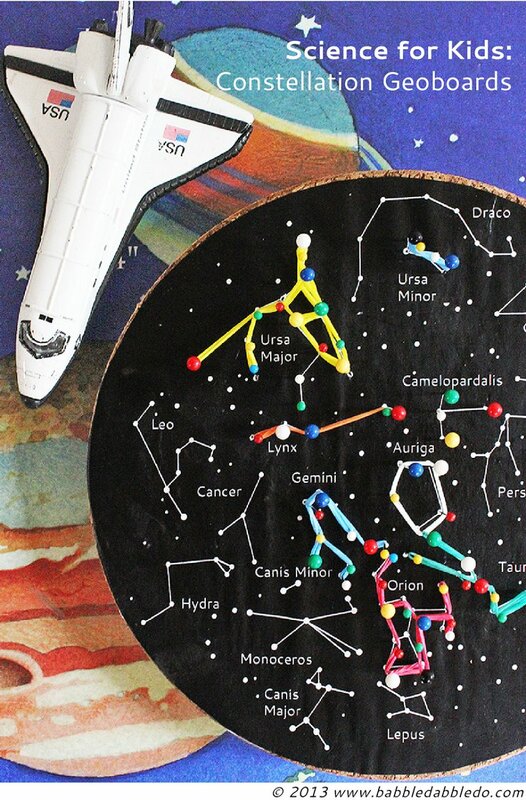 You might have already seen some of them on social media, but there’s plenty that you can DIY. We picked different things, from jars to scarves, so that there’s something for everybody! Some of these projects will take less than hour, other longer – it’s up to you to find out which one is the best for you. Have fun! The old white dishes no longer need to be dull and one – colored. 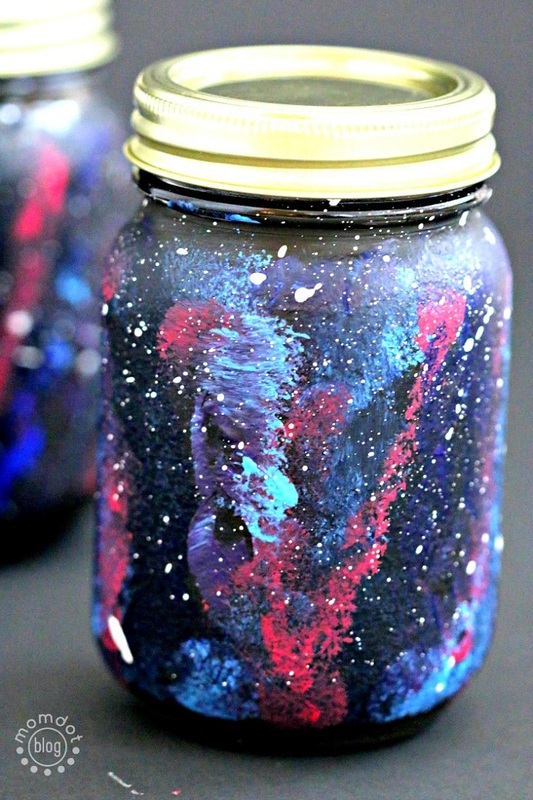 There are so many ways that you can decorate and paint them, so why not use the galaxy again for your inspiration? 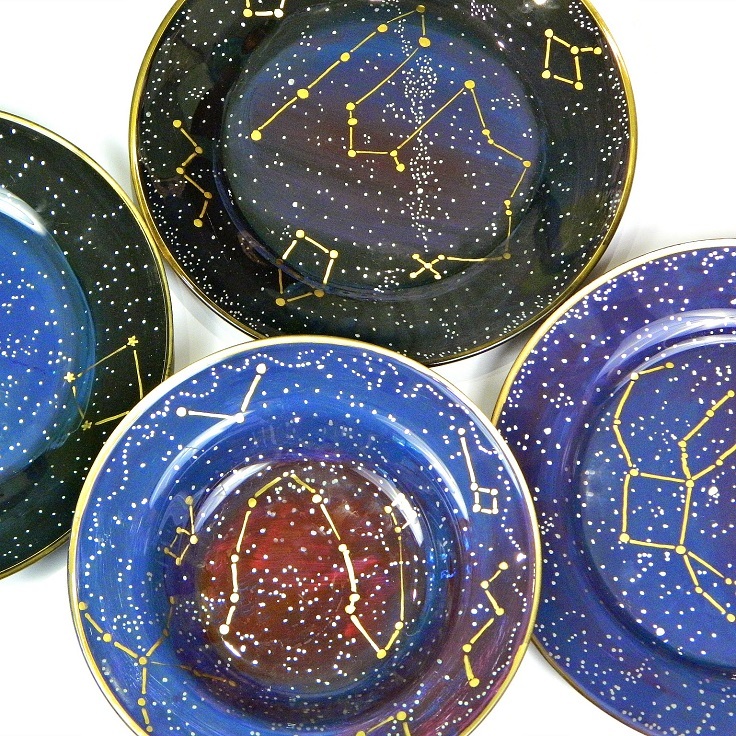 First you need to print out of constellations, and use Americana Gloss Enamels in Napa Red, Deep Midnight Blue and Dioxazine Purple, paintbrush, Krylon Short Cuts in metallic silver and gold, rubbing alcohol and glass dishes. The products you’re not able to find in your hometown, just switch them for other alternatives. 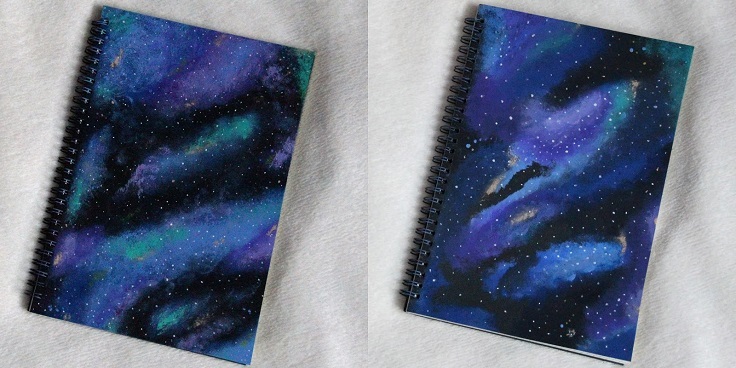 After we finish with our school, we barely need notebooks, but when you have such adorable, galaxy – inspired notebook you will want to write down stuff just because it looks so nice! If you have children, they might like this idea as well. Use black plain notebook (the bigger, the better), paints (use black, navy, white, blue, violet, green, yellow, orange, pink and every other you know will match), sponges (few sizes) and transparent spray. You might also need brush to paint small white dots and palette to mix colors. If you were looking for ideas on how to upgrade a shirt, then you definitely have to give this one a try. It’s really interesting – looking and you can wear it with jeans, skirt, pants, whatever you want the most. It might look like a lot of job to do, but it’s a really easy project and won’t cost a lot. Art makes every room look better, no matter if it’s a masterpiece of DIY painting. However, we must admit that having our own art hanged it’s a really good feeling, so why not give it a try? 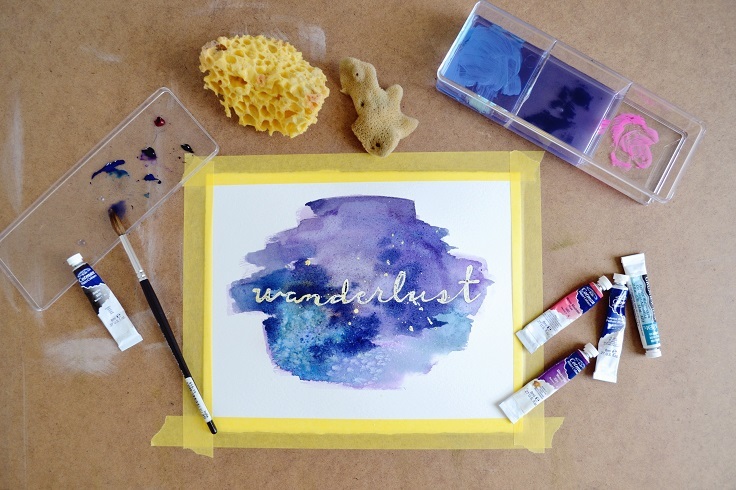 You need paint tray, watercolors (solid or liquid), masking fluid, paint brushes, watercolor paper, art tape or painter’s tape, pencils (light and dark lead – depending on what process you use to transfer your image), eraser and hard surface to tape your watercolor paper to. The pumpkin season will soon come to an end, so let’s use the most out of it while we can. There are so many inspirational ideas on decorating a pumpkin – it can be a vase, a candle holder, you can write down stuff – there are so many decoration that can come out of it! 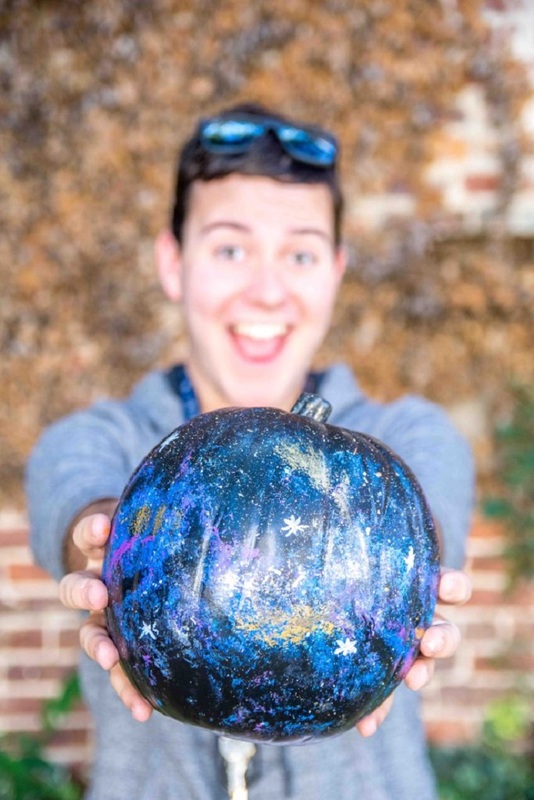 To make it like look like it was dropped in the galaxy itself, you’ll need different textured sponges, paint brushes, black foam pumpkin and paints (you can use Americana Decor Multi-Surface Paints: Pewter, Blue Bird, Purple Sunset, Silver, Black Tie, Champagne, and Flamingo). 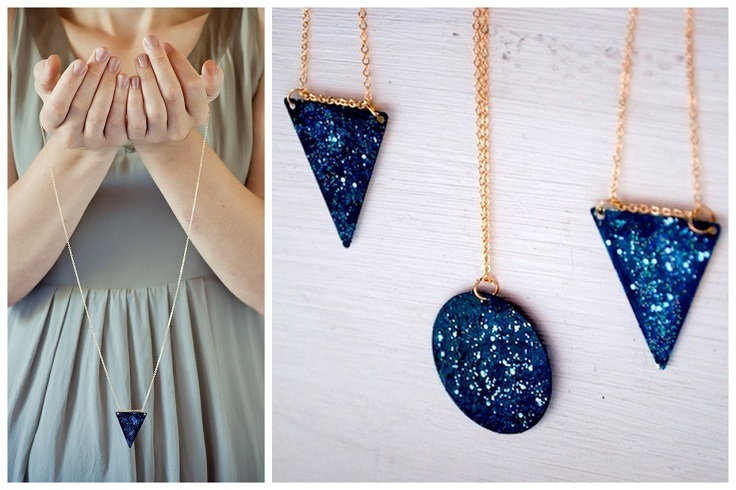 Wow, how nice would it be to have at least one galaxy – inspired pendant necklace? These all look so good that it’s hard to tell if they’re homemade or store-bought. The best part is that you can make them yourself and for that you need triangle (or round, or any shape you fancy) charms, chain necklace, nail polish or acrylic paint, a dark color (like navy blue), a light color (preferably white), two or more other colors (like hot pink and lilac), glitter nail polish, clear top coat nail polish or acrylic varnish and cosmetic sponge. Here’s another way you can upgrade your wardrobe. We already show you a nice shirt idea, so here’s one for a scarf. 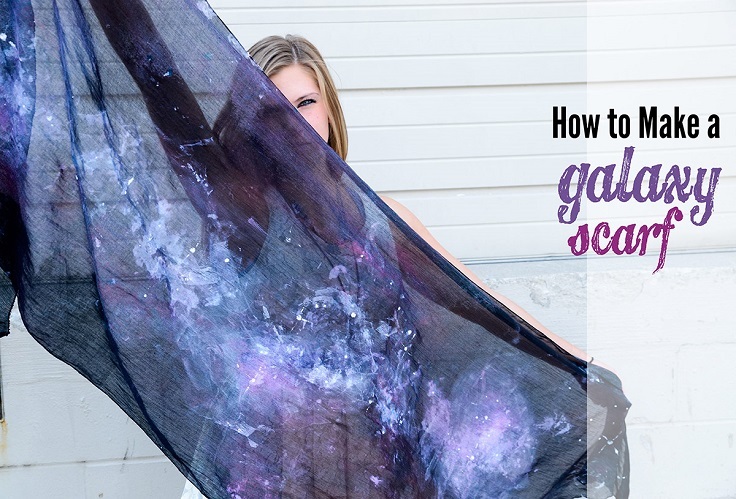 If you are scarf fan or know someone who is, don’t hesitate to make a galaxy scarf and give it away as gift for a friend or even for you! You need a black scarf (most likely cotton works best because painting on linen leaves the fabric super stiff! ), soft fabric paint, simply spray fabric paint and small paintbrush. If you think that slime is just for children, then you didn’t play with the right one. 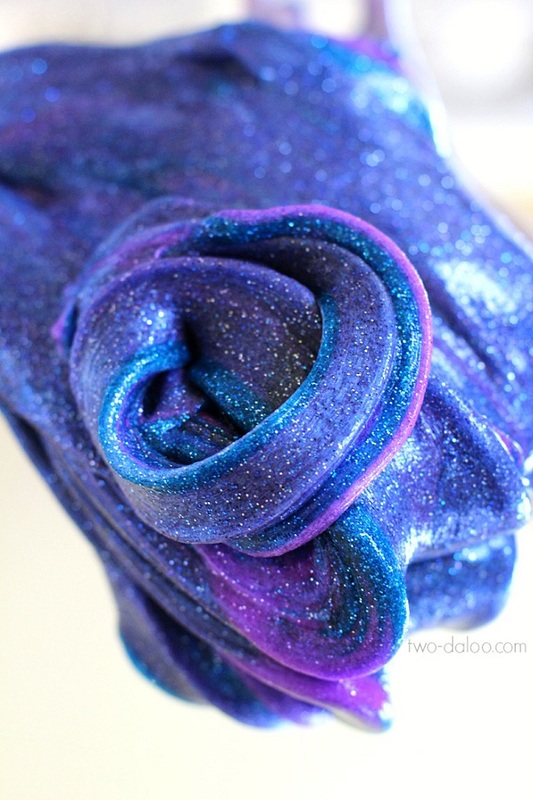 The slime is fun to play with and can get you really addictive to it, especially when it has such magical, galaxy colors and glitter. In order to make your own slime, you need a bottle of Elmer’s Clear School Glue, Sta-Flo Liquid Starch, Liquid watercolors and glitter in a variety of colors. If you don’t have the same products in your hometown, just pick an alternative. , Scissors, Hot Glue and Hot Glue Gun, Cosmetic Wedges and Small Rubber Bands.